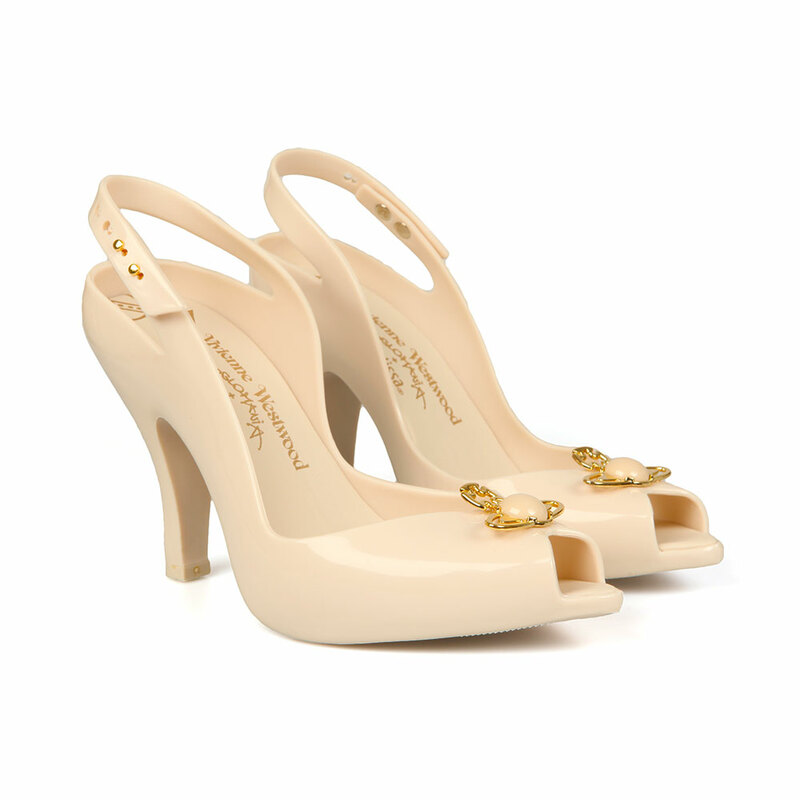 Vivienne Westwood Anglomania + Melissa Lady Dragon 18 Heel in 'ivory' has been reworked this season in a simple yet classic design. Designed with an all-over gloss finish, the Vivienne Westwood heel features a raised gold orb logo to the peep toe and an adjustable heel strap to form the perfect fit. Crafted from a comfortable Melflex plastic that is also lightly scented, the women's heel is perfect for that upcoming wedding!